From the USA Today bestselling author of Sweet Thing and Nowhere But Here comes a deeply emotional contemporary romance about second chances waiting beyond the shattered dreams of youth. 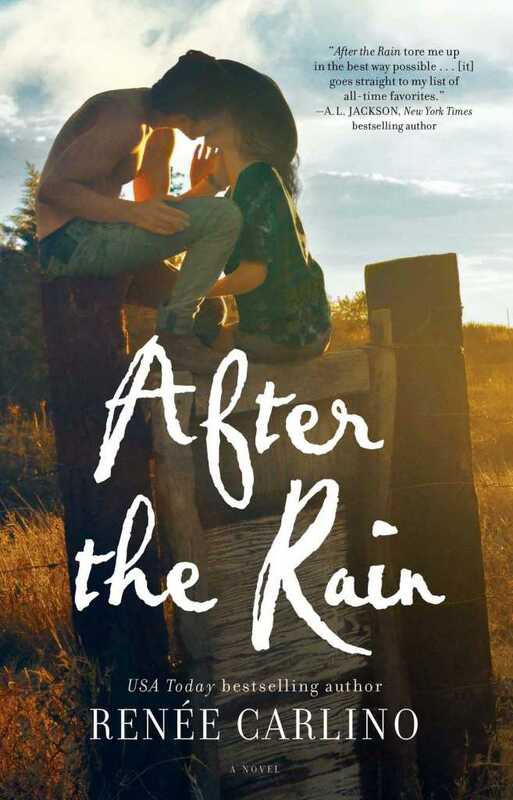 In AFTER THE RAIN, eighteen-year-old Avelina Belo meets a charismatic cowboy the summer before her senior year of high school, not knowing that accepting his invitation to dinner will lead to a whirlwind marriage three months later and an exciting new life on a Montana ranch. She also doesn’t know that, in a few short years, fate will send everything crashing down around her. Regrouping on his uncle’s Montana ranch, Nate meets Avelina, a beautiful, but mysterious young woman who keeps to herself and barely speaks a word. As he discovers the details of her devastating past, Avelina teaches him more about matters of the heart than he ever knew before. But can they trust each other enough to put everything on the line? To be completely honest with you all, I was a blubbering mess less than 20% into reading this book. I don’t even know how that’s possible, but one thing I am certain of is that Renée Carlino has solidified her place on my list of favorite authors. I absolutely loved this book. I devoured it in a matter of hours. I laughed, I cried, I swooned and I repeat. After the Rain is a tragic and beautiful story about love, loss and redemption. It will take you on an emotional, often insightful journey. Renée Carlino writes beautifully. There is a depth to her characters that will leave you spellbound and utterly hopeful. She captures the voices of two shattered people who have lost their way and are trying to navigate the waters of life. Her delivery is absolutely flawless. 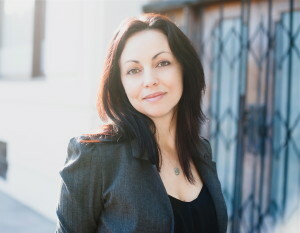 Avelina Belo has met unthinkable tragedies in her life. For someone so young her demons are heavy and have utterly dragged her into an abyss. She’s grown up quickly and the load she carries is heavy. She often punishes herself for actions that are beyond her control. Avelina’s life has become nothing, but a series of repeated tasks. She closes herself off to everyone, creating a lonely existence. It isn’t until Nate’s world collides with her own that she begins to see a life beyond the pain. Nathaniel Meyer’s has had an easy and happy life for the most part. He’s followed in his father’s footsteps. After graduating medical school, he throws himself into his work focusing on becoming a great heart surgeon not realizing his confidence might be his greatest weakness. Nate’s desire to climb the ranks has left him lacking in areas that matter, like life experience, human contact and stopping to appreciate the world around him. After a disastrous day at work, Nate takes a much-needed break finding himself on the same ranch in Montana as Avelina. He’s curious about her and attempts to befriend her. Nate feels her turmoil almost instantaneously and aches to ease her pain, but how can he? She’s closed herself off to the world barely allowing anyone a glimpse into her life or her heart. Nate’s dealing with his own battles, but Avelina interests him and he doesn’t give up trying to break her from her shell. These two can’t begin to imagine the impact they will have on one another. Hearts get involved; things get complicated, but is there any way each can mend their heart and find happiness in a world full of pain? After the Rain is an achingly beautiful story that is as unpredictable as it is gratifying. It will leave you guessing until the very last page. Avelina and Nate’s dual perspective gives this book a life of its own, one that you will step into, consume and cherish until the last page. I highly recommend this to all Contemporary Romance readers that like a deeply moving story with a dash of angst. with her boys or working on her next book, she likes to spend her time reading, going to concerts, and eating dark chocolate. To learn more, visit ReneeCarlino.com.